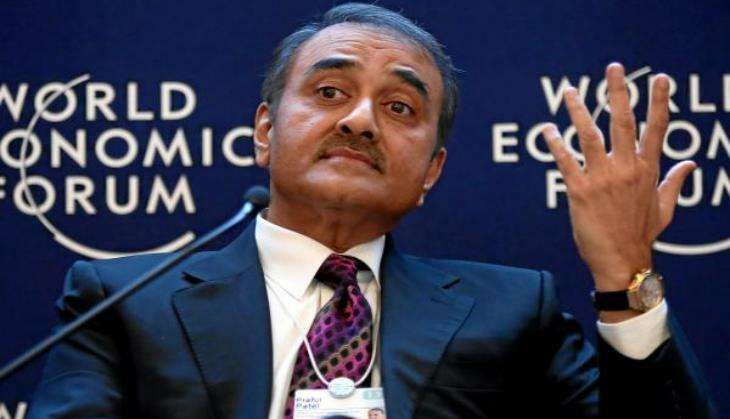 All India Football Federation (AIFF) President Praful Patel said on 21 November that India will bid for the Under-20 FIFA World Cup in the next few years as part of its drive to further develop the game in the country. India is hosting the Under-17 FIFA World Cup next year and Patel said the progress made and publicity gained since winning the rights to host the Under-17 global event for the first time will help in bidding for the Under-20 FIFA World Cup. "Under-17 World Cup next year will be the defining moment of Indian football. We have had intense focus on the Under-16 and Under-17 age-groups and will ensure the national team spends the next few years training and playing together," Patel said. "They will give their best during the Under-17 World Cup next year and following the tournament we will bid for the FIFA Under-20 World Cup. We have told the FIFA Competitions Committee that we are keen to host the event at the earliest available opportunity in 2019, and this will further give a boost to our grassroots initiatives," the AIFF chief told website www.sc.qa. Patel said the hosting of FIFA Under-20 World Cup will help in facilitating the continued development of the next generation of Indian footballers. He said India must ensure that 'right steps' were taken as it targets qualification for the 2022 FIFA World Cup in Qatar. "We will aspire towards qualifying for the 2022 World Cup because of the support our national team is going to receive and will need to ensure that right steps are taken towards realising this objective," said Patel, who is also an AFC Vice President. "Many of the current Under-16 boys will be a well-knit group and will be ready for national team duty in time for the 2022 World Cup qualifiers, which will start around the same time. "Indian football's further growth will be of direct long-term to Qatar football, including the successful hosting of the 2022 World Cup (by Qatar)." Patel said there has been a turnaround in the fortunes of Indian football and this can be attributed to the emphasis placed on youth scouting, and the investment flowing into sectors such as grassroots development, infrastructure building and refurbishment. "There has been intense focus on these areas by the AIFF helped by the AFC. Corporates have started putting money into football over the last few years and this is starting to pay dividends," he said. "The prime example is the historic run of three-year-old club Bengaluru FC in the AFC Cup and the global appeal of the Indian Super League. Winning the Under-17 World Cup hosting rights has sparked the interest of the Indian government in the development of the sport. "Bengaluru's historic feat of finishing as runner up in the AFC Cup and the fighting display of our Under-16 national team against traditional Asian powerhouses Saudi Arabia and UAE in September's AFC Under-16 Championships in Goa have illustrated that Indian football has begun to find its feet again," said Patel. He said he was impressed by the passionate support shown by Indian expatriate community of Doha to Bengaluru FC during the AFC Cup final. "We believe Qatar are our natural partners in Asian football family and the AFC Cup final has illustrated this. Qatar has identified its Indian community as an important stakeholder of 2022 World Cup and more than 5,000 Indian expats were at the stadium to cheer Bengaluru FC's historic feat proving they are emotional stakeholders in Indian football as well."